BBK 190 LPH In-Tank Electric Fuel Pump Kit for Ford Mustang features BBK performance direct-replacement in-tank fuel pumps. They continue to be the number one brand of high-volume pumps for today’s fuel injected enthusiasts. Their OEM dimensions allow these BBK Fuel Pumps to be swapped without any modifications making them a great upgrade or replacement unit. 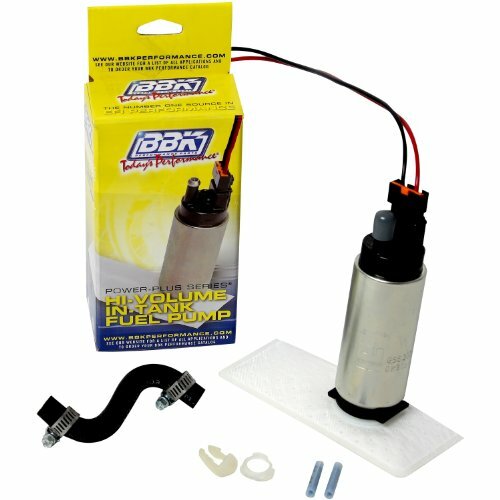 These high performance in tank fuel pumps deliver up to 255 LPH and are recommended for any high performance engine especially turbo, nitrous and supercharged models.